The future is impossible to predict, it is filled with surprise and uncertainty. Well out of the hands of any mortal human being, it is best to take life as it comes and England’s Paradise Lost have been practicing such an ideology for nearly three decades. 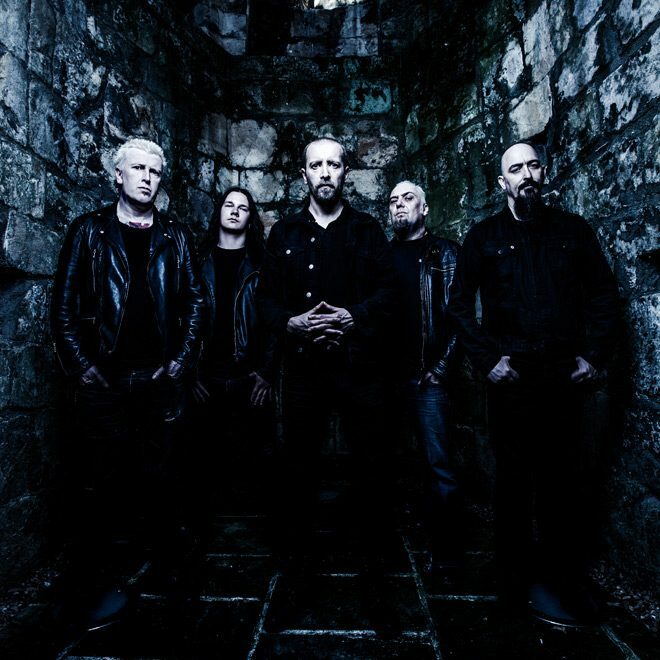 Begun as a Death Metal band with Doom Metal leanings, pioneering their own style known by many as Gothic Metal, dabbling with Electronic and Alternative elements, Paradise Lost has circled the musical atmosphere for ages still yet to touch ground. 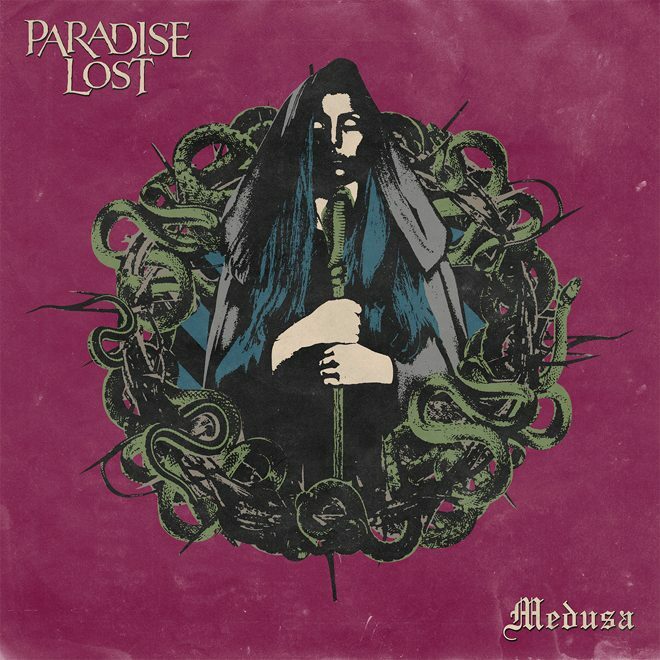 Exemplary of their will to progress, Paradise Lost continue along their own path with the release of their latest album, Medusa. 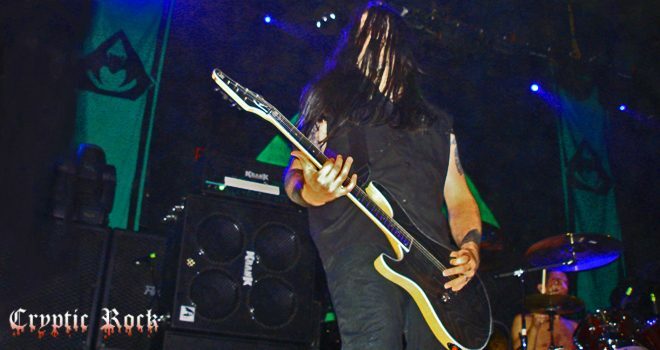 Recently we caught up with Lead Guitarist and key Songwriter Gregor Mackintosh to talk the years gone by with Paradise Lost, their outlook toward creating, the possibility of a return to North America, plus much more. 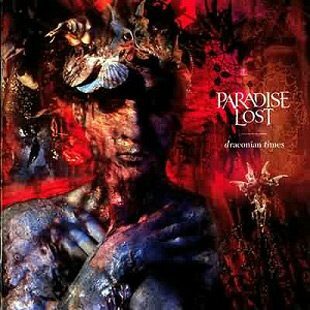 CrypticRock.com – In our previous interview back in 2014, Paradise Lost had just celebrated their 25th anniversary as a band. Now you are on the brink of a historic 30th anniversary. Looking back all these years later, what has this journey been like? Gregor Mackintosh – It has felt a lot quicker than it sounds. We have done it in cycles – you have a recording year, a writing year, a touring year. When you can benchmark your life in such simplistic cycle terms, it kind of goes very quick. It keeps you very young doing this, probably too young, I am fairly bad at life; really being spending too much time on the road all the time. I can’t complain, it is something that was a hobby that turned into a career and lasted a lot longer than I thought it would. It has gone fast, been fairly enjoyable with ups and downs, but pretty good really. 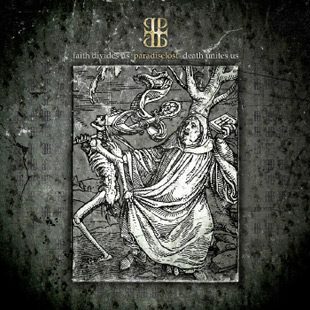 CrypticRock.com – As we had spoken about, the band has often been dubbed pioneers of Gothic Metal, but what Gothic Metal is considered today is far different than what Paradise Lost is. That said, the band’s stylistic approach never dulls. You are constantly pushing forward. You have said an album is a snapshot of where you are at that point in your life. Where is Paradise Lost at this point? Gregor Mackintosh – I think we are just very comfortable with the whole thing now. We have been through various moments over the years where you become a little bit rudderless, where you kind of find what way you want to go or where you want to be. With Medusa, we knew exactly, it was very a simple transition and writing process on this record because we didn’t have to think too hard. We knew what we wanted to do. Like you said, it is still a snapshot, it is still no different. Whenever we approach a new record, we just feel like we are a new band. If you try and go by your past career there is too much baggage there. You would end up cluttering the writing/recording process, so you have to treat it like a new band. Ultimately, the public will decide if they like it or not. You can’t decide for them, and you would be wrong to try and do that. It probably sounds like that on the record, it is very classic Paradise Lost type stuff. Maybe a bit more doomy and stripped down. CrypticRock.com – This album has glimpses of older Paradise Lost material tone-wise and vocal-wise. In recent years, Nick has used some deeper growls again. It seems with this album you offer a balance of clean and growling vocals. First tell us what inspired the idea of bringing back the harsh vocals? Gregor Mackintosh – I was pushing him for a few years. He wasn’t interested in doing it. He said, “I’m done with all of that.” Then I did the side project Vallenfyre. I think me doing that encouraged him to agree to do vocals for Bloodbath. Because he agreed to do that he had no other choice but say yes to me on the gruff vocal front with Paradise Lost. 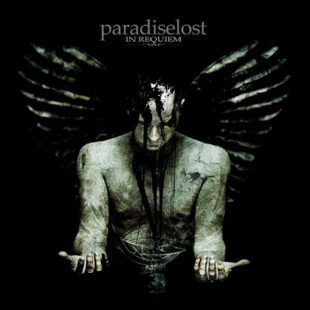 With Paradise Lost it is not as cut and dry, or doing a Death Metal album like Vallenfyre or Bloodbath. We just take it different each time. If the song sounds like the gruff vocals will fit we go with them. The songwriting on the last two records, Medusa especially, has been very different than how we normally do it. I have gotten Nick to do various vocal styles over a couple of riffs, then stripped everything back and built it back up like a jigsaw puzzle. Usually it is down to me whether the songs have gruff or clean vocal parts, he just gives me a selection and I build it up. CrypticRock.com – It really works well. 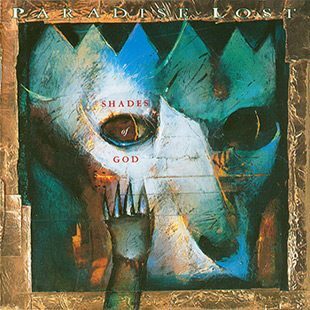 As stated, this is a very balanced record of Paradise Lost’s past and present. Looking back on the band’s past, you have experimented with Alternative Rock and Electronic music. As a band that goes by your feeling, do you foresee exploring some of the electronic elements in future releases, or is that something in the past? Gregor Mackintosh – I don’t know, it is something you can never say never really. You don’t know what you are going to feel like in 4-5 years time. You might have a totally different outlook again. For me, when we did explore with electronics, it was purely through boredom. It is easy to get bored if you are doing touring for an album or 2. Like for Icon (1993) and Draconian Times (1995), we were away from home for maybe 4 years straight touring those records. Doing the same thing night in and night out, you just think, I need to try something else otherwise it is like working in a factory. That was really the reason to diversify, and it is a fairly honest reason I think. I just don’t think you can never say never. At this moment in time it doesn’t really interest me, but in 5 years time…who knows if I am still alive. CrypticRock.com – (laughs) Well let us hope you are. You just never know where you are going to be. Speaking of the heaving touring you did around Draconian Times, that was around the time the band really established themselves in the European market. You had mentioned by some fault of the band, you had sort of put North America on the side at the time. Within the past decade or so, you have visited, but the band has not been here over the past 2 album cycles. Has the band thought about coming back to North America? Gregor Mackintosh – Yes, we do. We have been offered many tours over the years and we have turned a lot down. I don’t know why, sometimes it is because we just don’t think we fit. 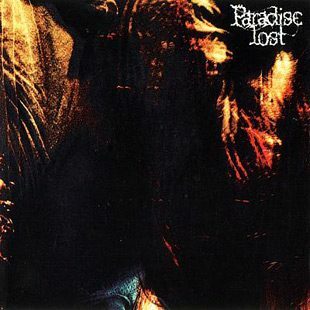 Like the band Nile has asked us many times, I think it is because the guys like the Paradise Lost music. We learned from early on, like when we toured with Morbid Angel, it doesn’t necessarily fit. It may not be the right blending of styles. Amon Amarth has asked us a few times and we are thinking if they are doing a North American tour next year, we may take them up on it. It is as close a style we are going to get I think. We are just too picky. We have gotten our fingers burned a couple of times over there. I think probably we just should bite the bullet, stop being so picky, stop being such wussies about it and just get over there! Next year we are definitely up for it. We are going to look at every tour that comes up and try and get over there for at least 1-2 tours. We will see what happens. CrypticRock.com – Very cool! It is funny you mention how the band does not fit in. That is not a negative, it is a testament to how unique Paradise Lost is. It is difficult to pigeonhole the band in one genre. Gregor Mackintosh – That is very kind of you to say so, but it can also be through being too stubborn. The scenes change all the time. I know the North American scene has changed quite a lot. The Doom scene has become very hipster in North America the last few times I have been over, I never saw that coming! Bands like Pallbearer who we are taking out with us in Europe soon. It is interesting that is what is becoming popular in North America. There might be more bands for us to go out with in North America next year than we think. CrypticRock.com – Yes, it is interesting to see what genres of music become more hipster-like. For a while Black Metal became very hipsterish in America, that was very odd to see as well. Gregor Mackintosh – Yes, our drummer, Waltteri Väyrynen, is a young guy and is a Black Metal fan, but only likes the old stuff. He kind of gets annoyed by the hipster Black Metal. For me it doesn’t matter, Black Metal for me is the first two Bathory albums. I am not a Black Metal aficionado. Apart from Bathory’s first two Black Metal albums, for me, it all just sounds like people trying to impersonate as Popeye. The hipster thing, people do different spins on things. They try and blend one style music with another style, like Post Rock and Post Punk mixed with Black Metal, presto, all of a sudden it is hipstery. I kind of don’t get involved in that; if I like a band, I like a band. I find a lot of the bands I like these days just by trolling through bandcamp really. Some of the unsigned or unground stuff, I find some very interesting stuff there. I think that is where the trailblazing is really being done at the moment, not in the mainstream really. CrypticRock.com – Absolutely. Beyond Paradise Lost, you have other creative outlets at this point in your musical life. Do you have any other new creative outlets on the horizon, or do you already have enough on your plate? Gregor Mackintosh – This last year has been fairly tough for me work-wise. I thought we had time off from Paradise Lost so I started working on a new Vallenfyre record. While I was writing it, Paradise Lost signed to Nuclear Blast and they said they wanted an album. So I ended up doing the whole thing back to back, writing and recording. Vallenfyre’s new record just came out in June and Paradise Lost’s Medusa comes out September 1st. I am going to be doing bits of touring and festivals with both over the next year. It is going to be kind of hard balancing both of those. I don’t really have much time for anything else at this time. Vallenfyre’s Fear Those Who Fear Him is going to be the last thing I am going to do recording wise with them. In the future, maybe in about a year or so, I might look into doing something else. CrypticRock.com – Excellent. That will be interesting to see where things go in the future. Gregor Mackintosh – Yea, I am just going to leave it for a while. Leave it for 6-8 months, see where my head sits at and what I feel like I doing. It could be very different, like I said, so we will see. CrypticRock.com – That is what makes it exciting. You are very much a veteran now, you have seen a great deal of change in the world of music and humanity. This in mind, it seems we are living in as confusing times as ever. Does this serve as inspiration to create? Gregor Mackintosh – It definitely did on the latest Vallenfyre. That is basically a throwback to the music I grew up with in the ’80s and the politics. It is kind of very reflective right now of the time; I grew up in the ’80s as a teenager. You had the Cold War going on with Reagan and Thatcher. It was a bit of a hotbed, it seems people haven’t learned. It is history repeating itself right now with North Korea, Trump, and all the rest of it. I think hardship in life makes musicians more hungry and gives you more to write about. I think you do definitely get edger music during times like these. It is going to be interesting to see all the music that comes out during these times. I think in the ’90s and, to some degree, in early 2000s it all got stale. It stayed a bit stale in the mainstream Metal market where everyone sounded similar. I think it is time to break free from that now because of current circumstances. Not entirely because of that, but it is definitely a factor I believe. CrypticRock.com – Adversity and controversy bring out the best art sometimes. Gregor Mackintosh – Yes, definitely! The most edgy stuff comes out in times of hardship, you can hear the anger and frustration. It is definitely going to be a factor in a lot of people’s music. CrypticRock.com – There is no question. My last question for you is regarding Horror movies. You are a very big Horror film fans. What are some new Horror genre films you enjoyed? Gregor Mackintosh – Yea! I am sure everyone says this one, but The Witch (2015) was great. It was slow burning and they all have the same Yorkshire accent as me. It is kind of interesting for me to watch, it has a great atmosphere. There are a lot of Horror films I watched. I watched one recently that I didn’t know I liked at first, but it reminded me of the macabre-like quality of the ’80s. 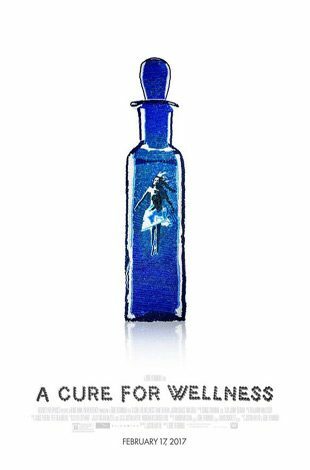 That is A Cure for Wellness (2016). It is very slow burning and it gets pretty gruesome toward the end. I watch about 5 movies a week, Horror movies mostly. A lot of them are underground Indie ones, which I really like.